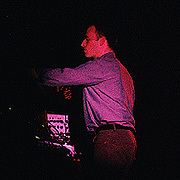 On Outfolding, Saul Stokes transcends the moniker "sonic innovator" and on to the plateau of "music visionary". On this, his third album, Stokes goes well beyond technicalist to encompass a stunning range of moods and character. With mostly hand built, self designed equipment, Stokes creates cerebral timbres, intelligent rhythms, warm pads and icy effects. This release is engrossing, atmospheric and distracting as it lingers on once run its course in the CD player. Stokes's compositions have been commonly referred to as aural explorations and certainly a love of synthesized sound is demonstrated on, but with the powerful emotional content of an evolved artist. We are offered mood pieces which delve into the regions of isolation, joy, dislocation, euphoria, the heart and mind. 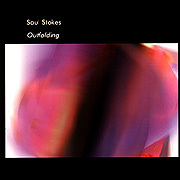 With exquisite pacing and phrasing, "Outfolding" is part sonic experiment, part introspective facilitator, part soundtrack to modern life and entirely immeasurable.